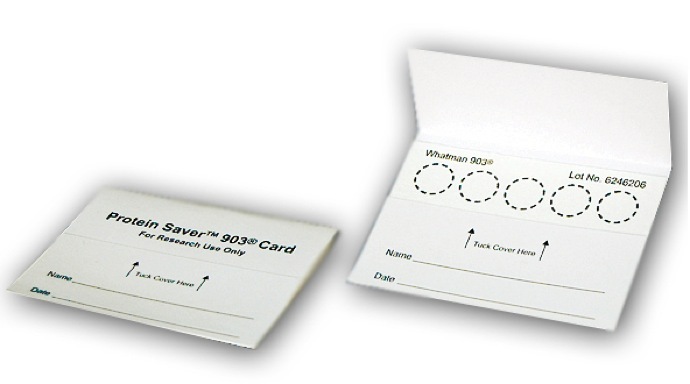 Arrayit Whatman GE Healthcare 903 Protein Saver Cards. The sample collection area of the 903 Protein Saver Card contains five half-inch circles. Each circle holds 75 to 80 µl of sample. Wraparound cover has spaces for name and date of collection and is imprinted with the universal biohazard symbol in accordance with USPS regulations. It fits into Whatman foil barrier ziploc bags for storage. 100% pure cotton fibers. 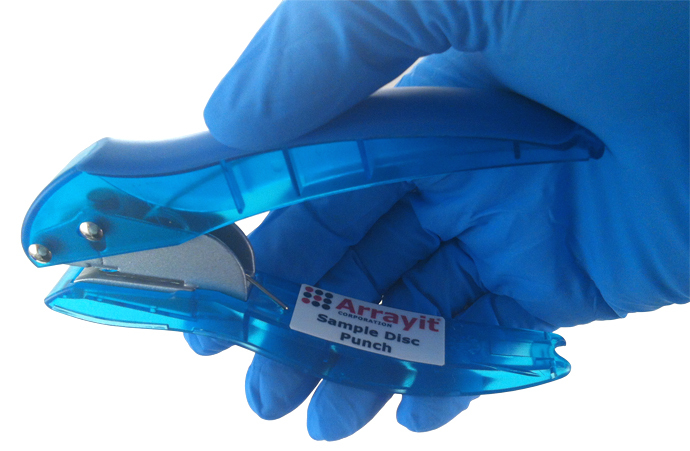 This product is to be used for research use only. Pricing is per package of cards, 100 cards per package.